Description: Holds approximately 10lbs. of chips. 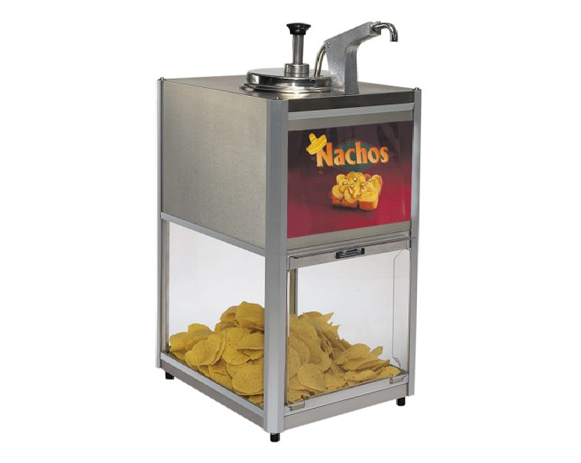 It combines a heated chip compartment with a nacho cheese pump warmer. Nacho Cheese and Nachos are not provided.